The big kahuna water slide! The perfect beach themed inflatable. 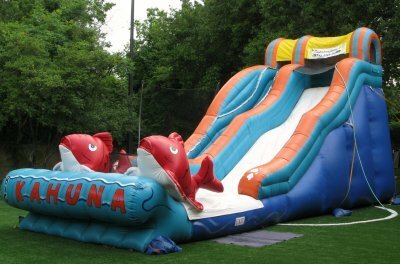 Find water games, water slide jumpers and water slides for rent in northern california from Prime Time Interactive. Inflatable bounce water slides for all ages!